QuickBooks, made for your print shop. You're a serious printing business now. QuickBooks is nice, but you need a tool specifically for your screen printing business. Customizable pricing matrices can be used to quote jobs with easy. Email your customers in Printavo to collect artwork approval and move each job into production. Know exactly what's next for each order. 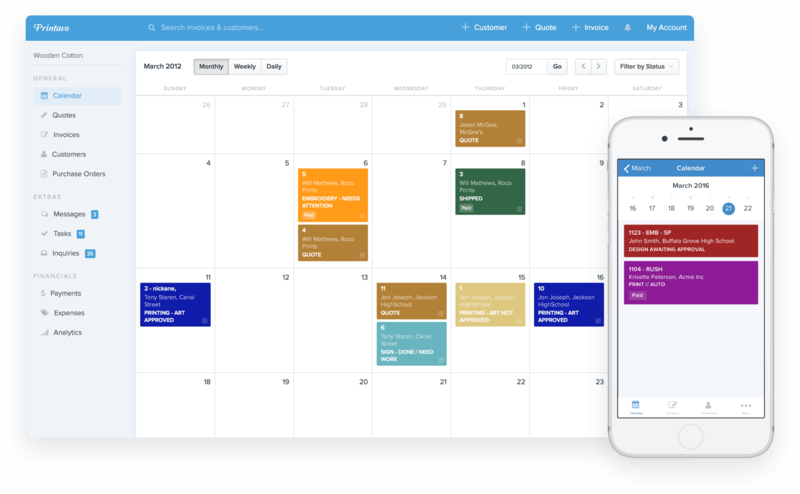 Allow everyone to view a clear calendar to keep track of your work flow. We'll sync your orders, customers and payments back to QuickBooks for your convenience.